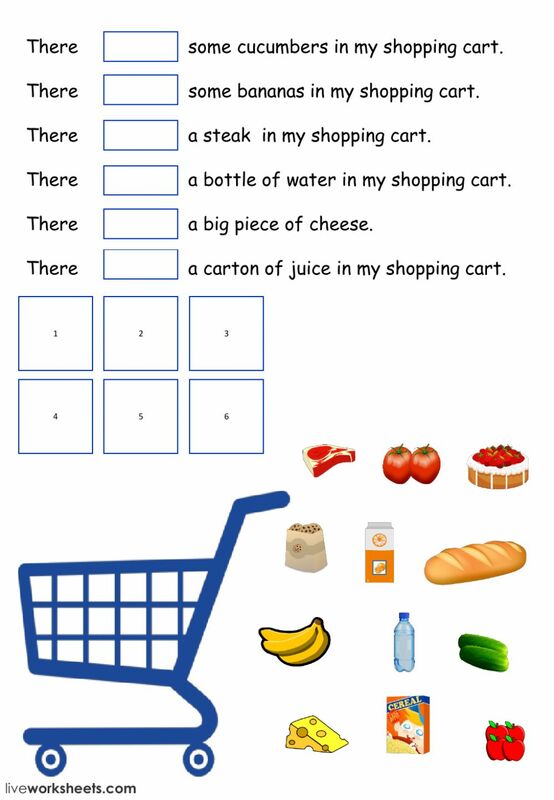 Live worksheets > English > English as a Second Language (ESL) > Food and drinks > What's in my shopping cart? 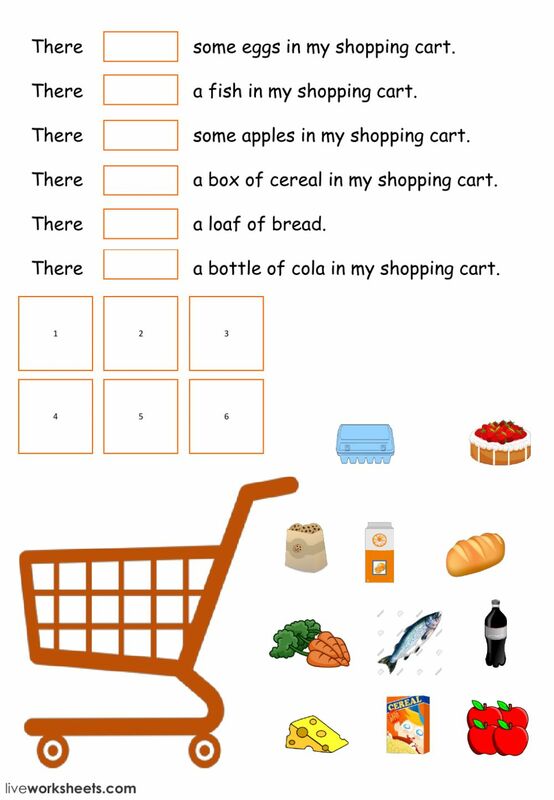 Read the sentences add is/are and move the food to the correct box. Copyright 11/21/2018 Melissa Kalaf. Publication or redistribution of any part of this document is forbidden without authorization of the copyright owner. One suggestion: in the empty boxes enter just "drag:" (without any number). 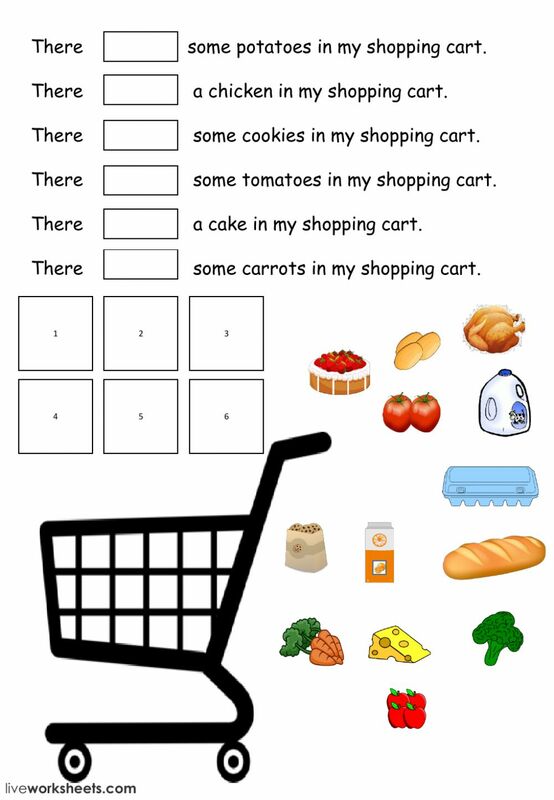 This will make them draggable too. Thanks a lot for sharing. It's very useful!